It’s less than 48 hours until we set eyes on this. This time, in 7 days, we will be setting eyes on Disneyland Paris. 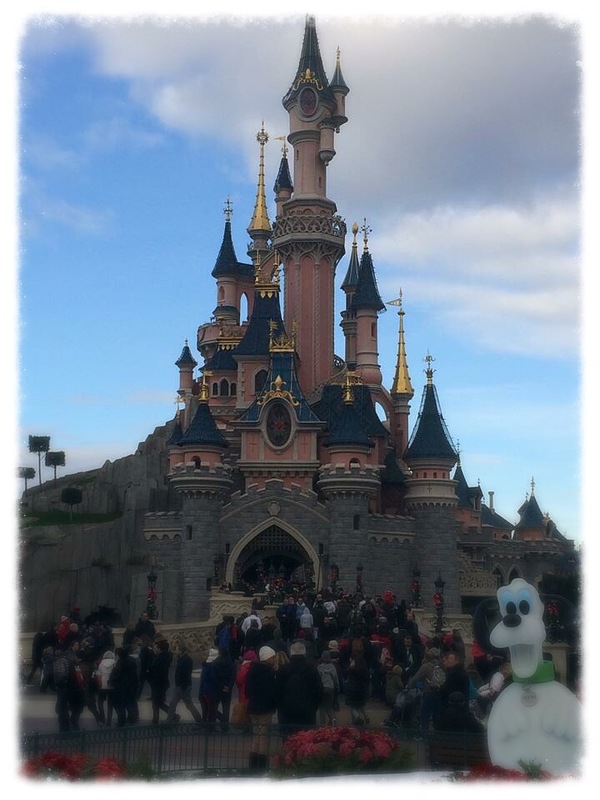 This years family holiday is 5 days at Disneyland Paris Resort. I first went to Disney aged 2, and now Emmas first trip is the same. I’m hoping to recreate some of the photos. God knows where they are however. I shall have to ask my mother! I’m hoping she gets over it before we go. Thank you Cancer Research UK! 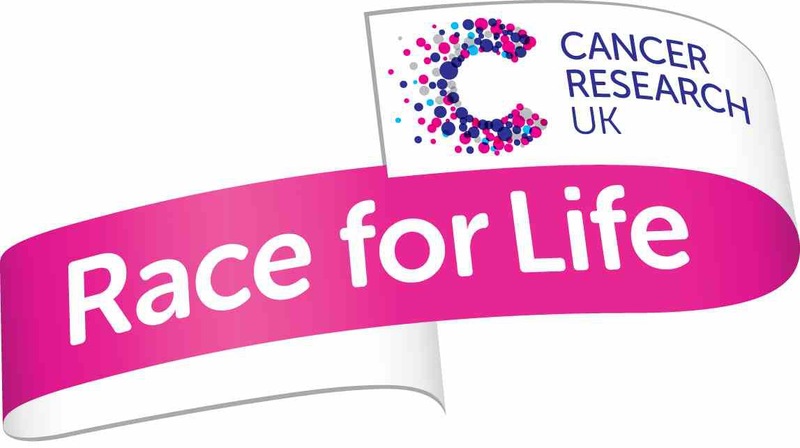 We are now all signed up for Race For Life. Emma and I will be walking 5k on June 20th at 11am at Kempton Park. 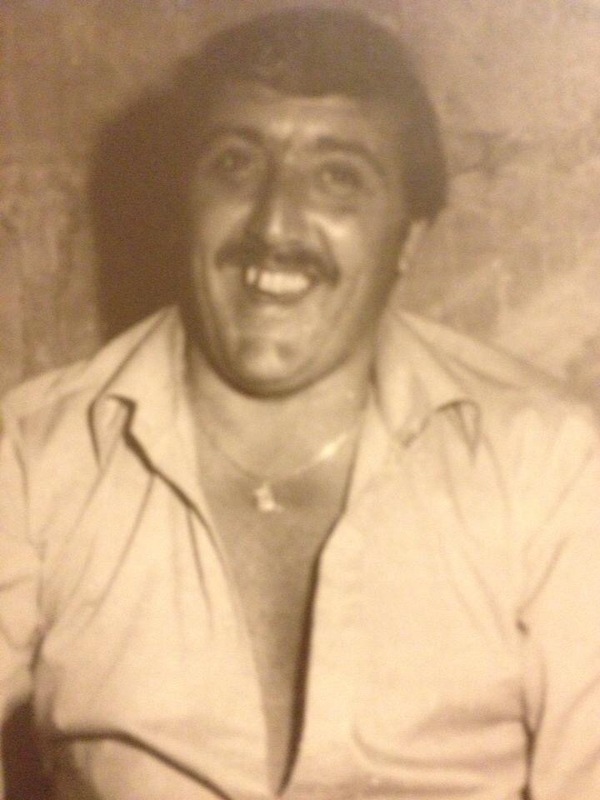 We are raising money for Cancer Research in memory of my Grandfather Michael Anthony Pearce, who passed away on the 25th November 2012 and also my friend Sarah Louise Hardie who passed away on the 10th September 2014. You can read more about why I’m participating in Race for Life here. 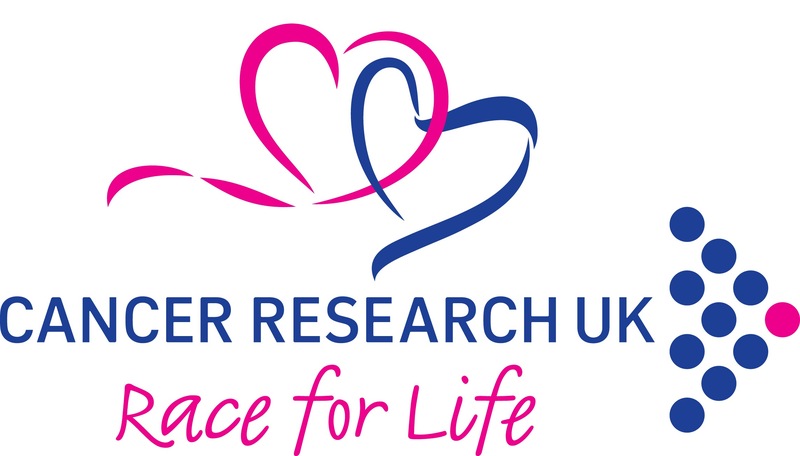 Cancer Research UK have approved me to give away 20 codes for discounted entry to a Race for Life event. 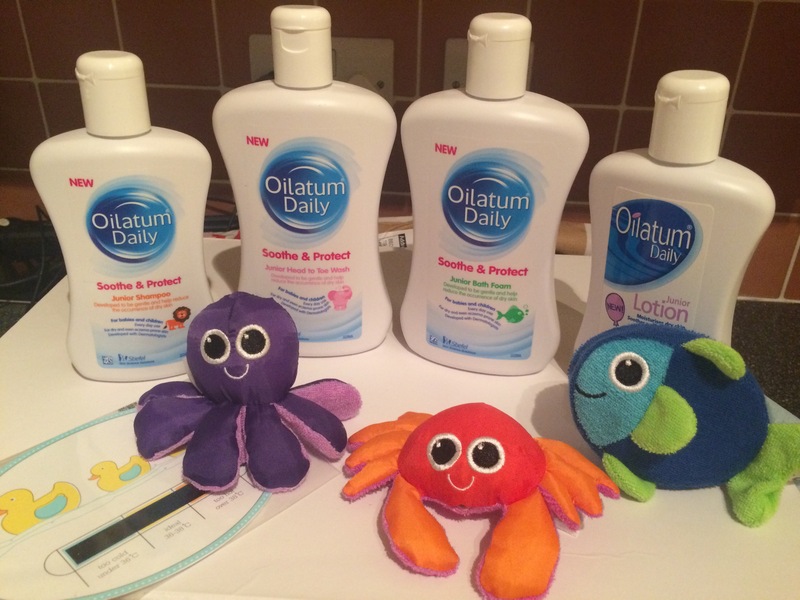 For 5k and 10k events it is usually £14.99 for adult women and £10 for children. For the Pretty Muddy event it is usually £19.99 for adult women and £10.00 for girls aged 13-15. With your code you will save £2 off of your entry fee. These fees cover the cost of organising and running your event on the day. It does not contribute towards your sponsorship total. I will select 20 people at random on Sunday the 1st of March and contact those people by email. This giveaway will be open until 6pm on Sunday 1st of March 2015. Anyone can enter, providing they’re a UK resident. Thank You Cancer Research UK, see you on June 20th! If you want to donate/pledge funds for my 5k, you can do so here. Currently I have raised £135 towards my £200 target. Thank you SO MUCH to everyone who had donated so far. Author beccaPosted on February 27, 2015 March 1, 2015 Categories Cancer, Fundraising, give awayTags cancer, charity, giveaway, race for life, RFL3 Comments on Entered! I saw the cutest little dress on Pinterest and after seeing that it costed around £25, I thought, hmmmm…wonder if I could do that. So (as always happens) I delved further and further into the Pinterest rabbit hole and found a few tutorials for no sew tutu dresses and they looked easy enough and sure enough they were! They were however time consuming, but I suspect once you got into the groove you could complete a basic one in under an hour. The most time consuming part (in my opinion) was cutting the tulle. First what you want to do is decide how long you want the skirt of your dress to be. If you want it to be 12 inches long, then cut your tulle strips at 24 inches long. The tulle I purchased was in 6 inch wide reams. I cut the required length and then cut the strips in two lengthways. Secondly what you want to do is to stretch your crotchet top over something, like the back of a chair. I was using a 7×9 inch top and so it was a little too small for the back of our chairs, so I improvised and used the lid from my husbands lego container. 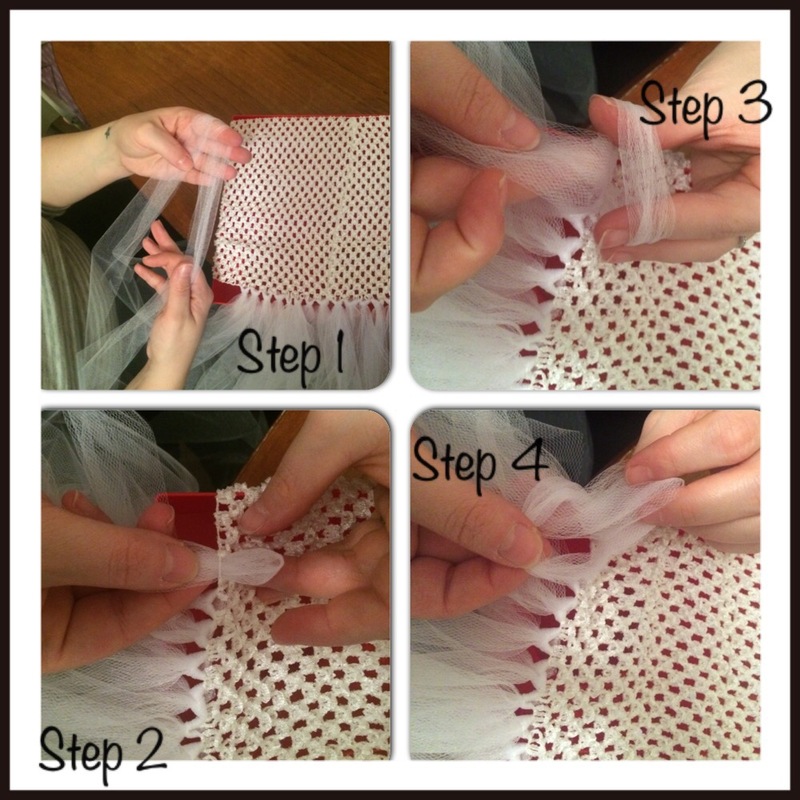 Step 2 – place the top of the folded tulle into one of the holes at the bottom of your crotchet top. You’ll need to go it from the underneath, so that the tulle comes on on the top of the crotchet top. 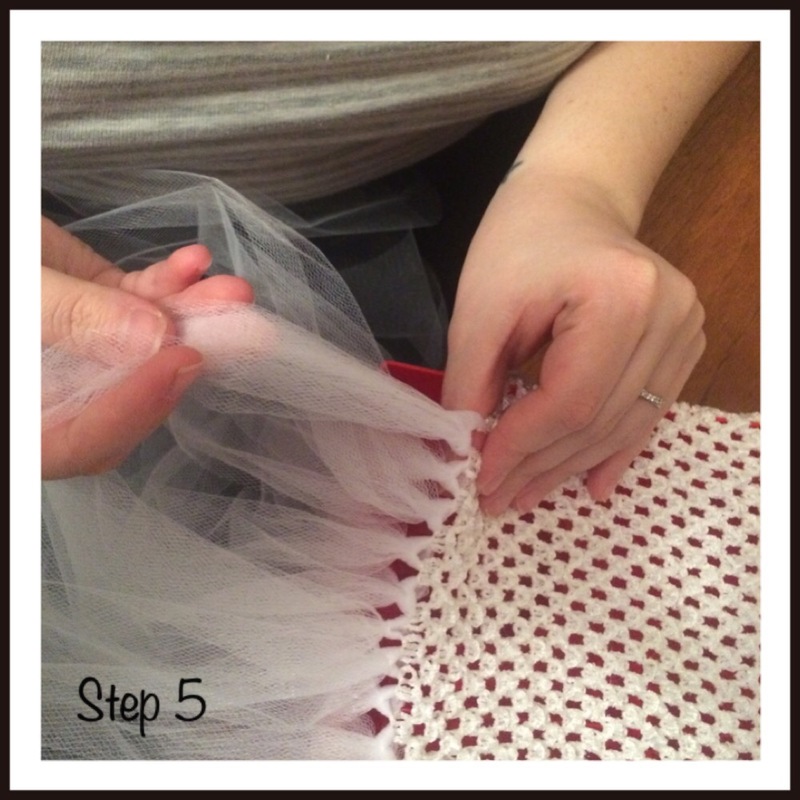 Step 3 and 4 – you’ll now have a loop at the top, and 2 attaching pieces of tulle at the bottom. Pull the 2 pieces of tulle up and through the loop at the top. Step 5 – pull to tighten the loop. Then repeat steps 1 to 5 until you’ve filled the entire bottom row of the crotchet top. Move on to the next row above and continue until you’re happy with the final product. Once you’ve done, you can use a ribbon to attach straps to the top of the tutu dress. 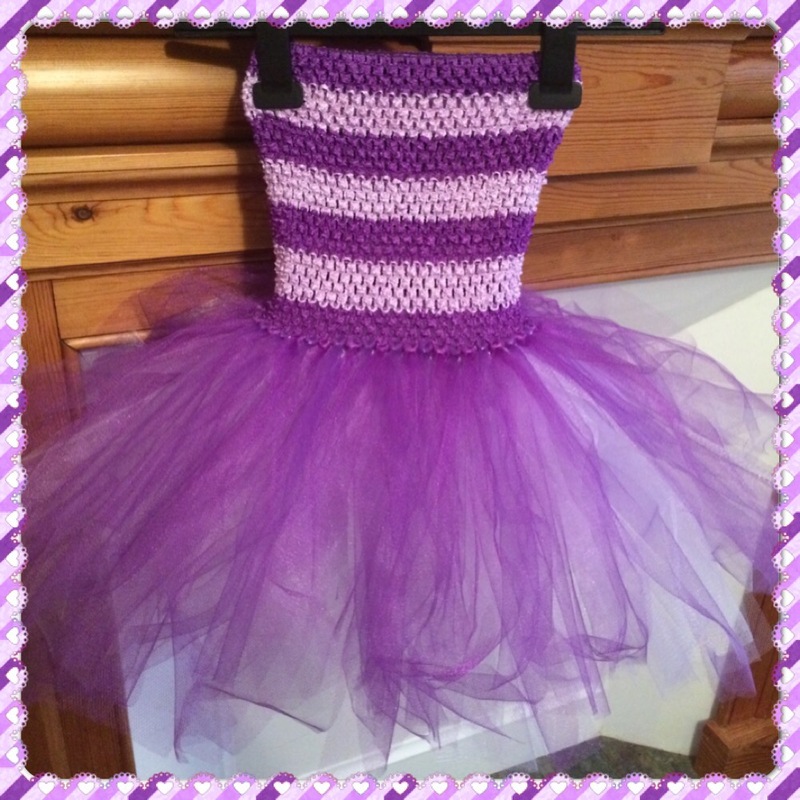 You can also use gems and flowers to embellish your tutu top. Up. Down. Round. Rinse and Repeat. The last time I posted was September 11th. Over 2 months ago. It was a post about PND, submitted by another mother. An absolutely lovely piece of writing. I’d like to say I’ve been away, to somewhere fun and doing exciting things and letting life carry me away, but sadly that’s not the truth. I’ve neglected my blog, my readers, my social media accounts, because of, well, illness. And of course life, because you know, work, toddler etc, it does keep one busy! Physically, I’m fine, healthy almost (barring the many pounds I should be shedding) but mentally I am not. Many people, who suffer from mental health illness often run dual lives. To the outside world they portray what they choose to show others, and then behind closed doors they present how they really feel. Sometimes the two overlap. The stigma surrounding mental health contributes towards this. People projecting to the world how they think they should be seen to be feeling and not how they actually are feeling. If you know me, then you may have noticed that I haven’t been myself, I may have snapped at you, jumped to conclusions, been rude or mean, disassociated myself, shown no interest and well I could go on and on and on…. I’m sorry, I’m working on it. For the next few months I’ll be in and out, posting occasionally, maybe not posting at all. Maybe posting a lot. Who knows. Hopefully a correct (further) diagnosis and medication will help me on the right track. 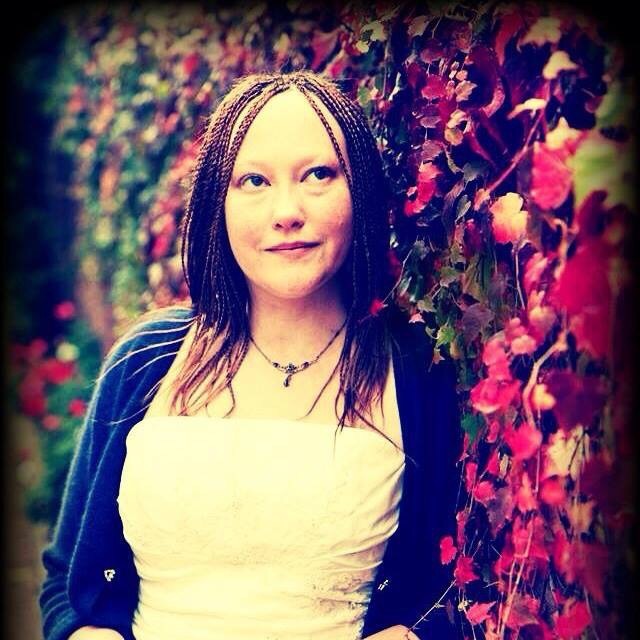 Author beccaPosted on November 13, 2014 Categories Blogging, Mental HealthTags bipolar affective disorder, blogging, mental healthLeave a comment on Up. Down. Round. Rinse and Repeat.